Dr. Wensel is a member of several professional organizations (including the American Association of Neurological Surgeons and the Congress of Neurological Surgeons) and is published on topics including treatment of aneurysms, as well as neurocritical care of intracerebral hemorrhage and stroke. Dr. Wensel specializes in spine surgery (including trauma, minimally invasive techniques for degenerative disease and tumor), functional neurosurgery (deep brain stimulation for Parkinson's disease and tremor) and has an active general neurosurgery practice. Dr. Wensel specializes in spine surgery (including trauma, minimally invasive techniques for degenerative disease and tumor), functional neurosurgery (deep brain stimulation for Parkinson's disease and tremor), brachial plexus surgery and has an active general neurosurgery practice. 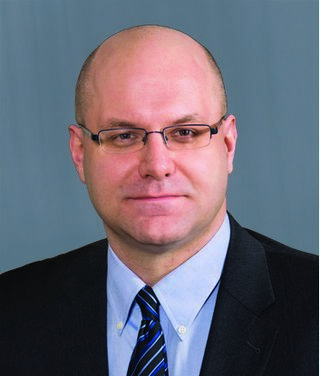 Dr. Andrew M. Wensel joined the University of Rochester Medical Center faculty in 2009 and serves as an Associate Professor of Clinical Neurosurgery to provide comprehensive neurosurgical care. As a native of Rochester, Dr. Wensel returned after earning his MD in Cleveland at Case Western Reserve University. During his residency he selected a focus in skull base surgery, complex spine, and deep brain stimulation. Dr. Wensel is board certified in the United States. He is a member of several professional organizations (including the American Association of Neurological Surgeons and the Congress of Neurological Surgeons) and is published on topics including treatment of aneurysms, as well as neurocritical care of intracerebral hemorrhage and stroke. Dr. Wensel specializes in spine surgery (including trauma, minimally invasive techniques for degenerative disease and tumor), functional neurosurgery (deep brain stimulation for Parkinson's disease and tremor) and has an active general neurosurgery practice. Srinivasan V, Wensel A, Dutcher P, Newlands S, Johnson M, Vates GE. "Calcium pyrophosphate deposition disease of the temporomandibular joint." Journal of neurological surgery reports.. 2012 Oct 0; 73(1):6-8. Biswas T, Okunieff P, Schell MC, Smudzin T, Pilcher WH, Bakos RS, Vates GE, Walter KA, Wensel A, Korones DN, Milano MT. "Stereotactic radiosurgery for glioblastoma: retrospective analysis." Radiation oncology.. 2009 Mar 17; 4:11. Epub 2009 Mar 17. Suri MF, Suarez JI, Rodrigue TC, Zaidat OO, Vazquez G, Wensel A, Selman WR. "Effect of treatment of elevated blood pressure on neurological deterioration in patients with acute intracerebral hemorrhage." Neurocritical care.. 2008 9(2):177-82.